Computer Weekly has just published a one-sided article about Mono. To Mono’s founders, the proprietary/open-source battle was less important than issues of co-existence and the most appropriate platform for the job. According to Justin Steinman, Novell’s director of product marketing for Linux and open platform systems, and the man in charge of selling Mono to the world, “Mono essentially enables you to run .net applications on Linux,” giving you the choice of developing for either platform knowing that it will run on both. Interestingly enough, the article defends Mono proponents while dismissing opposition to it as being “anti-Microsoft”. Mind you, they use negativism; not “pro-open standard”, not “anti-patents”, not “freedom advocate”, or even “fair competition proponents”. “Remember that Microsoft has no commitment for Mono.”The article quotes Justin Steinman, whose “night job” (that’s what he calls it) now involves both Microsoft and Novell. This type of duality in role and responsibilities is similar to Miguel de Icaza’s role at Novell, but Miguel describes a duality in a different way, namely: “I have two positions, and one is speaking as the person managing the Mono team, and then there is another answer speaking as a Novell vice president.” It wasn’t long ago that he spoke about OOXML being a “superb standard”. In any event, remind yourselves why Mono is risky, unlike GNU/Linux and open standards (Novell will try to convince you otherwise, using perceived risk as an ‘advantage’). Remember that Microsoft has no commitment for Mono. It can pull the carpet from underneath Mono’s feet at any time, so again, as a Mono-reliant customer, you’re left at Microsoft’s mercy. If you seek evidence of what might come, then read the following. Hi Roy, After reading this post, I fail to see the point of it, regurgitating an old, albeit intresting difference between the several microsoft deals. To me the title especially seems over-sensationalised, and fails to deliver. Theres no new evidence in this post of Novell using mono as a competitive advantage. Obviously, if I’m missing something, then please correct me. While Linux thrives in the sharing of work, Novell seems to be Monopolosing (pun) Mono. Since Novell is claimed to have received special ‘protection’ for “Mono”, I firmly believe that it would be wise to disengage and exclude it from other GNU/Linux distributions. While Jeff Waugh has insisted that GNOME is in no way Mono-dependent, a friend of mine who is a former Fedora maintainer begs to differ, even after hearing Jeff’s rebuttal to my posts. Thanks for replying, Roy. I understand that Novell has the ability to use Mono to prolong dependence on proprietary software and formats, but I don’t see how Mono is any different to Samba or MS-Exchange implementations. Or is it that Novell owns the copyright of Mono, and now has perceived clearance from Microsoft to use Mono, that makes this different from other Free implementations of proprietary standards? Forgive my ignorance/stupidity Almost a year after the deal I still don’t understand a lot of the ramifications of it. Have a look at this excellent analysis from MattD. It also includes the Mono promises. >> I understand that Novell has the ability to use Mono to prolong dependence on proprietary software and formats, but I don’t see how Mono is any different to Samba or MS-Exchange implementations. Here is one difference. One is an API, used to build things. The others are specific implementations. Two specific bad apples (for arguments sake let’s assume) vs. the rotting poison that creates bad apples. That’s an oversimplification of one of the major differences. @Jose: that’s not true in a theoretical or technical level. Samba is entirely about the API. Samba 4 is built out of API descriptions (idl files) and can be used to build things (e.g., OpenChange). 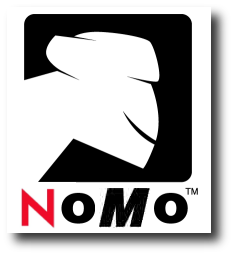 Mono is no different to GNU Portable.net, gcj, etc. Is Samba /actively/ being used to build things, like Novell builds a lot of the desktop with Mono (unlike Mainsoft for example)? I just gave you an example, OpenChange for native MAPI access to Microsoft Exchange. I’ve just browsed it a bit [ http://www.openchange.org/index.php?option=com_content&task=view&id=16&Itemid=54 ]. it seems like a drop-in replacement for Exchange, which is designed to work with existing software. That’s not the same thing as Mono. Here you have protocols that Microsoft commoditised. No, primarily (at the moment) it’s to get clients to talk to Exchange, replacing Exchange comes later. Microsoft didn’t commoditise these protocols in any way. It made them hard to bypass. Do you just want to explain what you understand “commoditisation” to mean? “It made them hard to bypass” doesn’t fit with the definition I use, so I suspect we’re talking at cross purposes somewhat. There are a variety of protocols that became almost essential to follow due to the ubiquity of Microsoft software, particularly on the desktop. One example of this is Outlook/Exchange, which the widespread use of Microsoft Office led to. At one later stage, the competition among ‘rival’ protocols hardly exists, but there is no standardisation, either. I think of it (the protocol) as a form of a commodity although it may still involve pricey licensing, such as those that Scalix (Xandros) subscribed to. Other examples worth adding are the wide use of GIF on the Web and x86 on the desktop. I think your use of the word “commodity” is incorrect. In terms of protocols, HTTP or TCP/IP are commodity protocols: they are well-known and used in the marketplace, but there are also many different products which implement them. Cars are commodity items in the same way; different people buy different cars for different reasons, but at a basic level they all do the same thing. X86 processors are also commodity. Exchange’s protocols are very much not commodity; they are de-facto as you rightly point out, and while some people have licensed the information to use them they’re not replaceable in the market place. Indeed, there isn’t really such as thing as “Exchange protocol” anyway. In terms of authentication, you have exactly the same Active Directory/Kerberos setup, which Samba already provides. The IPC mechanism is the same, and it uses the AD tree, and then provides a MAPI API to access actual data. This brings us back to the earlier point about whether or not Mono is different from Samba. This comparison was used a lot by Jeff Waugh. We can live without Mono because we have popular frameworks like Java. It’s not the same with Samba. Moonlight and Mono are also separate products, so your logic fails to deliver. Only Novell can deliver Moonlight (as defined by the product Novell is implementing + the Microsoft codec binary blob) because Microsoft only gave Novell the right to redistribute the binary blob and it comes with a number of other restrictions as well. There’s nothing that suggests that distributions could not ship Moonlight sans binary codec blob that I’ve seen. Of course, for distributions to do so, they would have to link with, say, ffmpeg to make it feature-complete and by doing so put themselves at legal risk unless they also licensed the video formats (from Microsoft and MPEG) because the video formats are patented. AFAICT, the risk of other patents applying to Silverlight should be fairly minimal because there’s nothing that Silverlight does that does not have “prior art” written all over it (e.g. 2D vector graphics, gee wiz, SVG maybe? Same with the XAML format – SVG or GladeXML = prior art). If Microsoft have patents on Silverlight’s 2D vector graphics, then it is just as likely that Cairo infringes – and Cairo is a core part of the Linux Desktop (and actually, afaik, Moonlight uses Cairo for drawing anyway). I should mention also that InkScape can read/save XAML and convert between it and SVG and whatever other formats it supports. It’s irrelevant to the point that Moonlight requires Mono. @Roy: what you mean is, *you* can live without Mono. And that’s fine, it’s a choice you can make. Others will choose to use Mono, and that’s also fine, because it’s free software. @Dan: indeed, the actual output – Flash, Silverlight, whatever, is relatively unimportant. What is crucial is that there need to be free software apps for *creating* the content, not just passively consuming it. Inkscape is one app, LunarEclipse is another. I personally wish that there was a decent free software tool which did SVG + animation. It looks like we’re a long way from that, though. It’s also possible to use GNU/Linux without X. Would people actually do this? Would /packagers/?